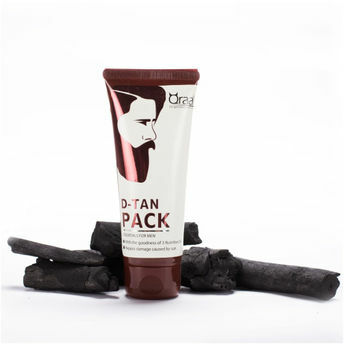 Qraa Men D-Tan Pack is the perfect solution for men long for nourished, refreshing skin. Specially formulated with nutritive oils, this D-Tan Pack has 8 benefits - it hydrates, nourishes, soothes, calms, heals, whitens, brightens and lightens the skin. The goodness of Mint and Eucalyptus oil in it cleanses your skin while providing instant brightening and lightening benefits.